Sometimes you’ve got a variety of interests or specialties that are too much for a single site. Let us use our expertise with WordPress to build you an integrated network of sites. Single login allows access to all the website dashboards. Information can be moved between sites quickly and easily. Maintenance and updates are all handled from a central location. For a few of our clients, we’ve created networks where all the sites are overseen by one person, but managed individually by different staff members – each a unique user – with their own speciality or job function. Don’t be afraid to think big – we can build it and still keep it simple. The BCLNA site takes advantage of an integrated network to push information to its affiliate sites as well as event registration and numerous custom post types. Multiple unique contact forms make contacting specific staff members intuitive for the site users. The new updated design is responsive and separates the site into sections that each work to satisfy the unique needs of the different BCLNA related industry members. Event sponsorship and site wide ads are simple and intuitive with a combination of contact forms and custom post type. The vast member database is automatically synchronized with their Salesforce database to keep their records and data accurate. Custom online data management solutions to manage member information help to streamline the yearly creation of their printed Buyers Guide, with member accessible front end management tools as well as many custom dashboard administration tools for BCLNA Staff. We provide hosting and technical support, so this network of sites can continue to grow to meet the member’s needs. 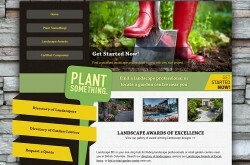 We built a site with integrated, automated, and fully customized data-based Google maps that allow visitors to search for garden centres and landscapers across British Columbia. Site visitors can search by city name or postal code to find the service nearest to them. The data is managed across the BCLNA network of sites where the content is housed in one central location and pulled to where it is needed, making content management simple and straightforward. Social sharing is just a click away without the use of site slowing third party scripts, and our suite of caching tools mean the large and beautiful imagery loads in a snap. 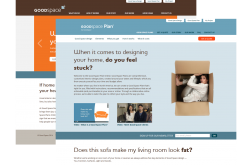 We built an online interior design service that allows people to get professional help to design and execute their DIY interior renovations. We worked with Good Space and custom built a collaborative space for client and designer to interact and automated much of the pre-sale work. This complex network of collaborative projects is built upon WordPress and integrated with BuddyPress as a collaborative tool. 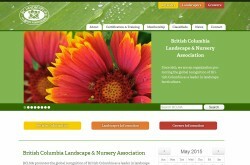 The Landscape BC site takes advantage of an Integrated Network by displaying content from the member directory at their parent BCLNA site. 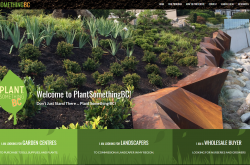 A responsive theme that displays smoothly across all displays, the new Landscape BC theme also takes advantage of a custom Planting Calendar, which populates with seasonal planting information entered into Custom Fields.